Get Ready Calgary! 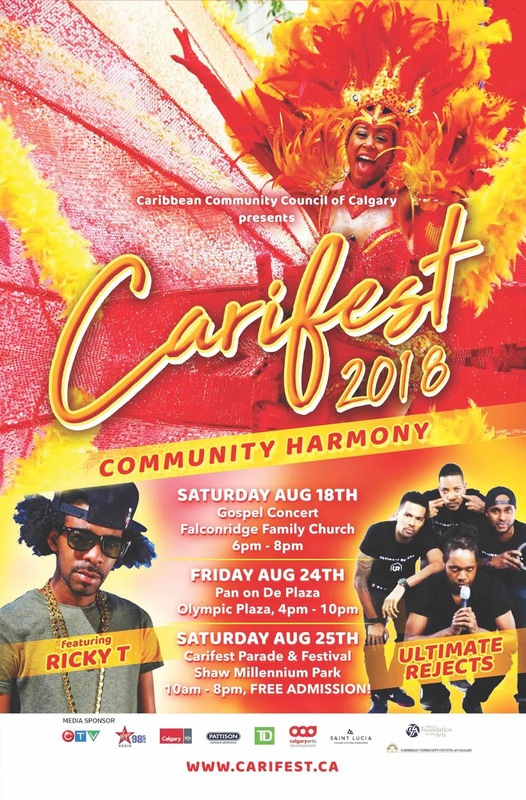 The city's Caribbean festival happens between Aug 18th with the Gospel concert, and the 25th with the Parade and Park celebrations. The Parade once again starts at Olympic Plaza, and the action at Shaw Millennium Park is FREE of charge with performances by St Lucia's Ricky T and Trinidad's 2017 Road March Kings, 'The Ultimate Rejects'. Look for details on CalgarySoca in the Parade and the upcoming afterparty to take the celebration into the wee hours of the Morning!